The Forest Amphitheater is host to all kinds of events, both magical and mundane. We’re thrilled to be hosting Magischola Prep on the beautiful campus of Swarthmore College, just outside Philadelphia, PA. The campus is easily accessible by car or train, with a train station on the campus itself. 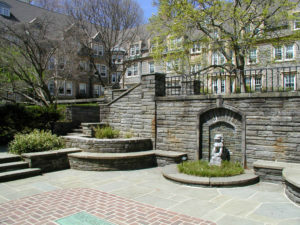 A perfect courtyard for a duel, in the center of Wharton Dorm. 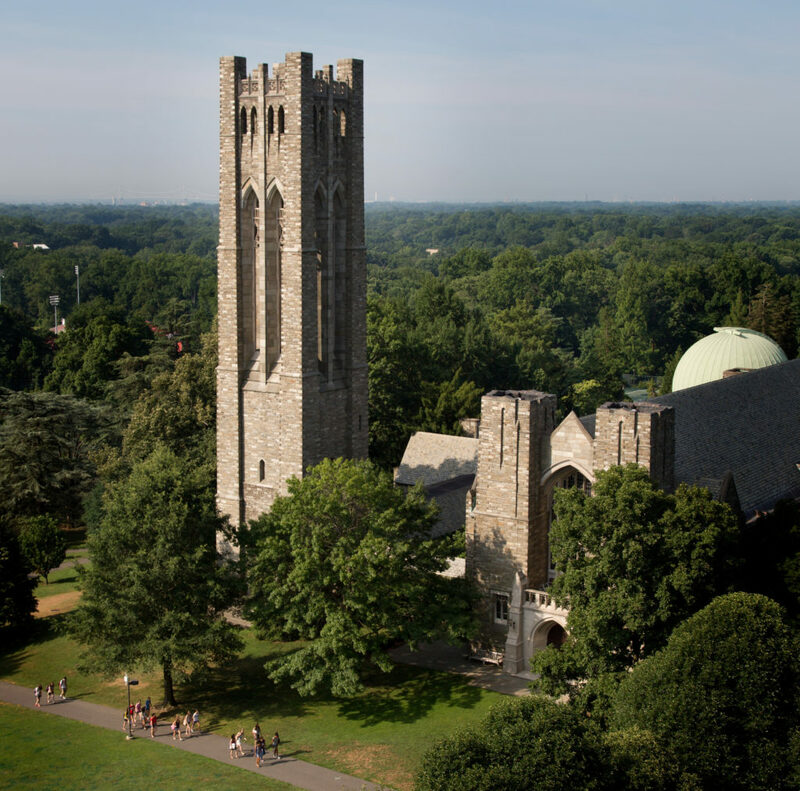 Students will live in one of Swarthmore’s dorms, generally with one or two roommates, although single rooms are also available. Counselors live on the halls with the students, and are on-call and available in case of emergency. Dorms are equipped with lounges and common spaces for students to relax in, and will generally be maintained as out-of-game spaces. If you want to have a scene or a wizard duel, head out into the courtyard! 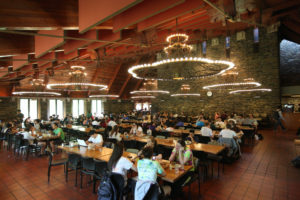 All meals will happen in Sharples, Swarthmore’s world-class dining hall. The chefs at Sharples provide a delicious and healthy food, with a variety of choices at every meal, including vegetarian, vegan, and gluten-free options. Sharples is also capable of handling specific allergen sensitivities on request. Even without us there, Swarthmore is already a particularly magical campus, full of beautiful locales to explore and strange mysteries to investigate. There’s a belltower, an observatory, and thousands of rare and ornamental plants as part of the Scott Arboretum. The grand Amphitheater borders on the Crum Woods, with many hiking trails leading eventually down towards the Crum Creek. Swarthmore also has a long tradition of hosting live action roleplaying events of all kinds, such as the annual Pterodactyl Hunt, which dates back to 1983.